Free shipping. Buy direct from HP. 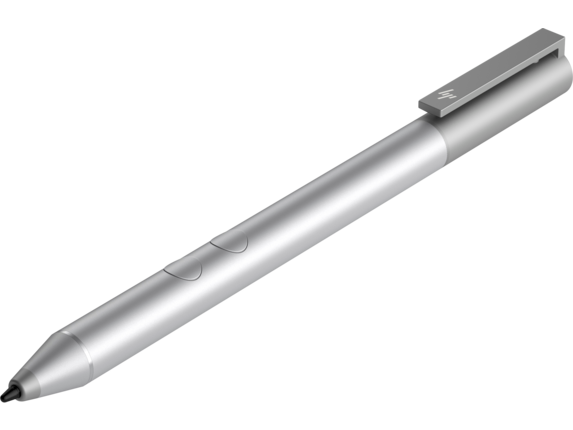 See customer reviews and comparisons for the HP Pen. Upgrades and savings on select products. 1 Features may require software or other 3rd party applications to provide the described functionality. Apps sold separately. 2 Actual battery life will vary with use and environmental conditions, and will naturally decrease with time and usage. Put finely-detailed finishing touches on your artwork, navigate your computer with pinpoint accuracy, and unlock a whole new way to express yourself with the powerful HP Pen. Say goodbye to the mouse and cursor by taking control of every aspect of your device with a pen that tracks your movements for an incredibly accurate, realistic experience. With its comfortable yet stylish design and advanced features, you’ll change the way you work, play, and create with the HP Pen. From the moment it makes contact with the surface of your compatible PC or laptop, the HP digital pen adds an extraordinary level of depth and control. Utilizing state-of-the-art technology to provide an authentic and life-like feel, you can write, draw, and design with the same precision you would with a normal pen and paper. The perfect solution for graphic designers, artists, and those who prefer to hand-write notes, this pen gives you everything you need to get the best of both worlds. Explore the dynamic artistic possibilities of the best design programs that respond to the subtlest strokes of the HP Pen. This tool provides you with a convenient way to handle your day-to-day tasks, too. Annotate documents with handwritten notes, sign forms directly from your screen, and navigate the web with ease. Once you do, you may never want to work any other way. Compatible with a wide variety of touch screen devices, you can use your HP digital pen to keep your creativity and productivity going all day. Exceptional notebooks on their own, HP Spectre laptops are made even better when used with your digital pen. Sporting two dynamic and stylish color options, a suite of performance features including an 8th Generation Intel® Core™ i5 processor, Intel UHD Graphics 620, and a 13.3-inch Full High Definition (FHD) touch display, the HP Spectre x360 13t laptop is an excellent match for the HP Pen. It boasts the processing power to deliver a rapid, realistic response and the visuals to make your artwork look gallery-ready right on the screen. Another excellent choice that helps produce a rich, satisfying experience is any one of the incredible HP ENVY laptops. They come in a variety of styles and functions, including the exceptionally versatile HP ENVY x360 series. These laptops feature a 360-degree hinge that allows you to write and draw with your HP Pen from almost any angle. This family of laptops makes writing and drawing more enjoyable. 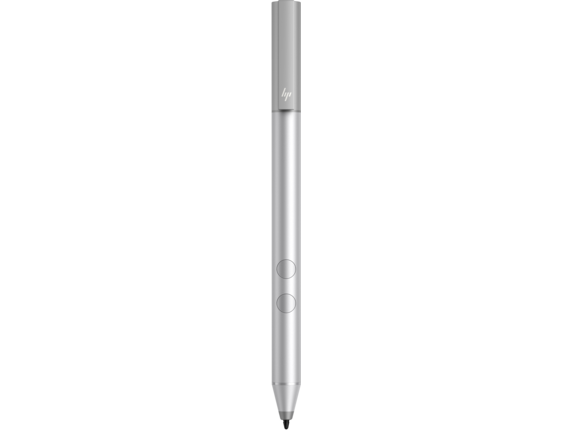 An innovative and exciting classroom tool for educators, the HP Pen offers a fun way for kids to exercise even more control over their online learning and playtime. Capitalize on the creative tools compatible with the pen to give your children or students the ability to unleash their creativity - all without the usual mess of marker and paint stains. For older students, the HP digital pen makes taking notes in the lecture hall easier than ever, allowing to you save all of your handwritten notes on your device instead of lugging around a backpack full of notebooks. Editing a research paper, doodling on the quad, and everything in between is even easier with a digital pen designed to get you through every part of the day. From kindergarten to college, there are many exciting and innovative ways to use the HP Pen to learn and create. The perfect tool for sketching a landscape, making hand-drawn animations, boosting your professional artistic portfolio, writing notes, signing documents, and so much more, you can enjoy the height of productivity and enjoy creative freedom only afforded by the latest technology. Capable of revolutionizing the way you interact with your touch screen PC or laptop, the HP Pen transforms your device into a canvas of unlimited potential. Let your ideas flourish as you take more control over your HP computer. At HP®, you can find the perfect match for your pen or enhance your experience with your existing compatible computer, all while putting a personal touch on everything you do.